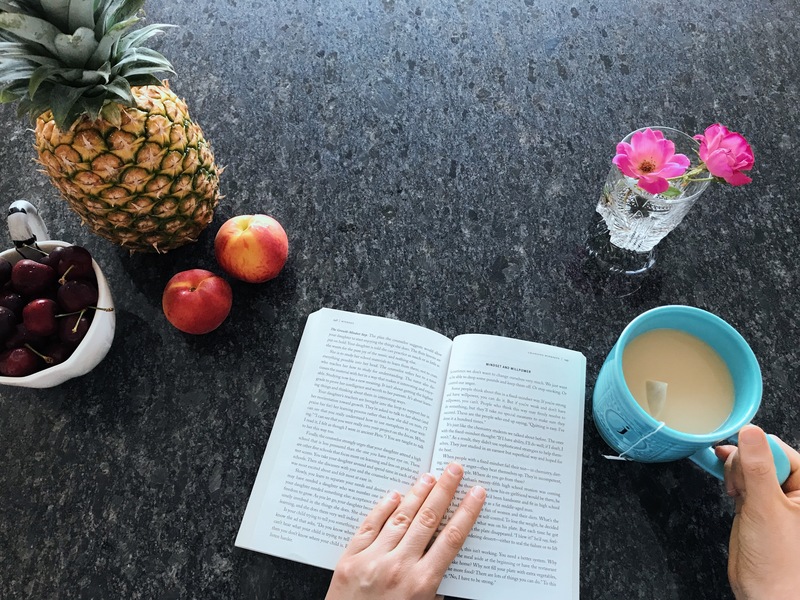 When I picked up The Mind-Gut Connection by Dr. Emeran Mayer, part of me wondered whether I accidentally bought another aspirational read rather than one that I would actually use to help people learn how to alleviate anxiety and depression with food. You know the type: You feel really smart and interested in the book store when you read the back cover and pay for it, but then somehow forget to take it out of the bag or put it on the shelf only to pass by, pick it up, and say, “Next time!” as you move on to something more interesting. I didn’t want that future for this book. Especially because living with anxiety and depression comes with the need to explore every brain and life hack out there. Of course, I can’t speak for everyone, but for me it sometimes feels like my mental illness lies dormant in my mind for months before rearing their ugly heads and leaving me in bed for an entire weekend (or season). The idea of having an option for every-day alleviation with food that could supplement the anti-depressants and self-care I already use sounded like something I needed to know. Dr. Mayer actually admits that Michael Pollan’s mantra acts as the summary for his advice, too, so don’t think I’m a hater here! I loved the book! The additional benefits that Dr. Mayer provides are that we severely underestimate the power of fermented foods and should seek to integrate more into our daily menu. Pretty simple items to integrate into your daily nutrition, if you ask me. I made more of an effort to eat these foods after I read the book about two months ago. At minimum, I drink a glass of kombucha every day and I plan more non-dairy yogurt during the week than I previously did. I gotta say, I experience a baseline of daily hopefulness that took a lot more work to achieve before I worked those items into my daily diet. The other advice is what we’ve all come to accept as healthy habits: awareness of how much we eat, limiting distraction while we’re eating, and the quality of food that we put into our bodies. While none of that was new, I found the science and case studies associated with those behaviors interesting to read. While I found the book absolutely fascinating and a delightful read, you could find much of the information in online articles—especially if you’re a big ol’ nerd who frequently reads about this topic. 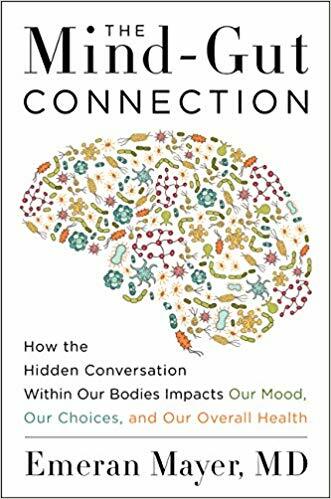 I would recommend this book more for newcomers to the subject, as it leaves no stone un-turned when tackling the science behind how the digestive system and ecosystem of microbiota work with or against the brain. If you’re worried it will be over your head, never fear! The science in this book didn’t require any pre-existing knowledge or understanding terminology to get through it. Dr. Mayer does a truly incredible job of making the material readable for the average person. For those who merely want to ingest (ha!) the advice on using food to alleviate the symptoms of anxiety and depression, you could read this, but I think it would be more helpful to just sit down at the book store or local library, flip to part three, take some notes, and head home. Better yet? Listen to one of Dr. Mayer’s guest appearances on podcasts. I genuinely enjoyed the read and didn’t want to put it down. However, it’s ultimately a book that, once read, is easily internalized. This isn’t a reference book you’ll want to keep. Did you read this? If so, what did you think? If you’ve read other books on the topic, what’s been your favorite? I’m always looking for recommendations!